I've been making some quilts lately - one is a finish for this week, but alas, no good pictures yet (tomorrow is looking promising - in the 50s and sunny!!). So, instead of Finish Friday this week, I thought I should probably make my March goals (is it already almost the 8th?). 1. A Lovely Year of Finishes @ Fiber of All Sorts - I want to start/finish my center medallion for the medallion quilt I've been sketching. 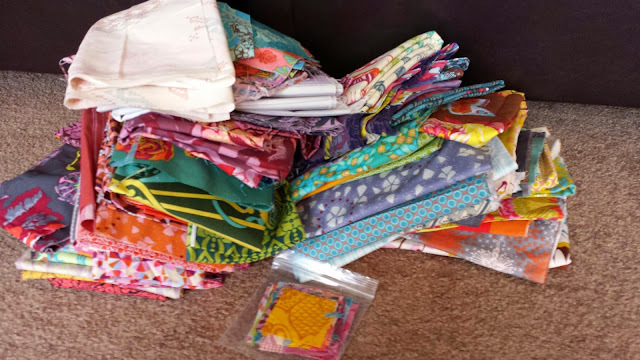 It's going to be a mix of all of my AMH fabrics, solids, low volumes, and other tone-on-tones (I'm looking at you, Pearl-Bracelets-that-I-need-to-buy-soon). I want to work on this quilt at Mid Atlantic Mod in one month (!!!! what?! is it really that close?) so that has to get done first! 2. 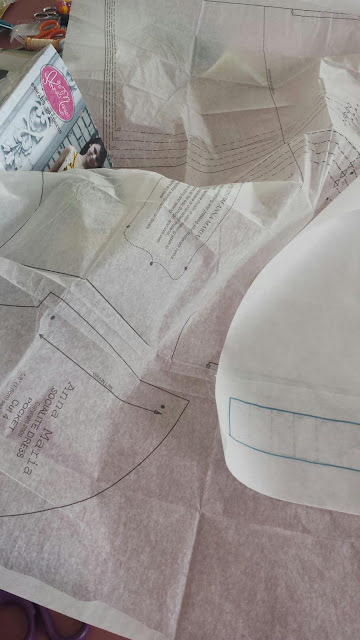 30/30 Sewing Challenge @ Berry Barn Designs - my friend Sarah challenges us to dedicate 30 minutes of sewing time to ourselves this month. I have to say that I am *very* guilty (or, not guilty, if we're not feeling guilty) of this nearly every day, because I almost always have a selfish sewing project going on. This month, my three selfish projects are the medallion quilt, my Sisters' Ten quilt (piecing the top), and my AMH Socialite dress muslin. I started the muslin with my friend Amy but she might need to hold my hand a bit more! Garment sewing for a quilter is a little bizarre at first. I also need to make a tote bag and two quilt starters for progressive quilts at Mid Atlantic Mod. Maybe I'll even feel inspired to quilt the Botanics challenge quilt. We'll see. :) I just did a lot of quilting, and I usually need a break. I'm itching to piece, so off I go! Sounds like you have been having a great time in the sewing department. Looking forward to seeing your latest finish and hope you get some good weather! Yes, sewing clothing is a strange (and kinda scary) concept. Hope you have a fun piecing the weekend away! That AMH stack is so yummy, and if you're bringing to mid-Atlantic Mod, then I'll get to see it in person! So excited :) :) :) I hope you have good pic taking weather today because I can't wait to see your finish! I hadn't seen that dress pattern before so I google imaged it - cute! And doable! I can't wait to see yours : ) Welcome to the challenge! I have that same dress pattern I need to get to. Can't wait to see yours.